How are your fudge making skills? 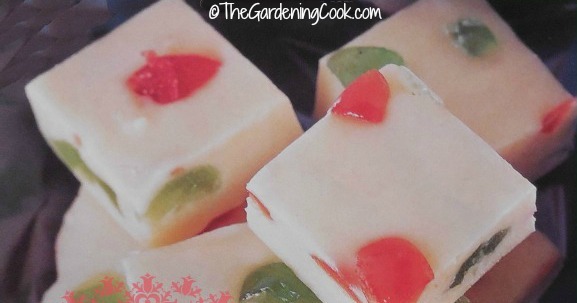 Do you end up with beautifully set fudge that forms nice little parcels, or do you find it a challenge? These cooking tips for making perfect fudge will have you getting wonderful results every time from now on. It’s hard to believe, after a summer of gardening, that the beginning of the holiday season is already upon us. When I think of the holidays, making fudge comes to my mind. One of my favorite things to do this time of the year is to make fudge. I think I have tried just about every combination imaginable. Sometimes, my fudge comes out perfectly with very little effort, and other times I am literally pulling my hair out in frustration for even attempting this batch. Does this sound like you? Never fear and read on. 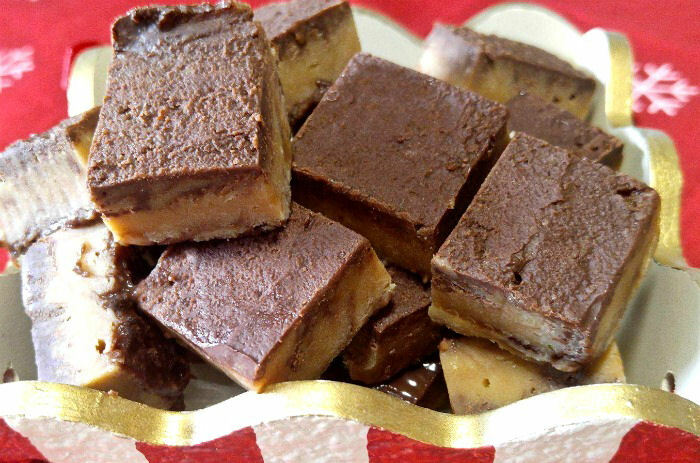 Fudge is one of those must have recipes this time of the year and everyone has a favorite or two. One of my favorites is a lovely mosaic fudge that I make each year for my Christmas table. It is so colorful and looks “Christmasy” with the addition of the red and green cherries. This list of ingredients includes white chocolate chips and condensed milk. But each fudge recipe varies, not only on the ingredients but on the technique involved. So what is a cook to do? One size does not fit all in the fudge making department, but there are a few things to keep in mind when making a batch of fudge that do make a difference. 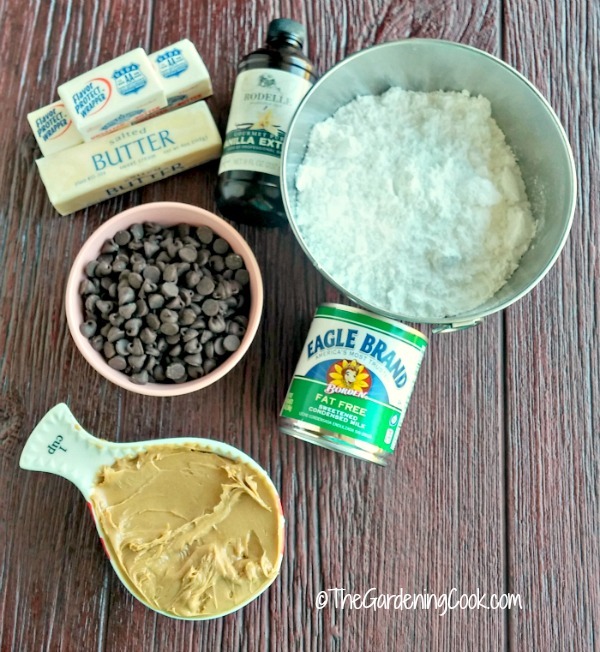 Lets start with the tools you will need for making perfect fudge. Pretty much every fudge recipe needs these things to have it come out correctly. Be sure to use a heavy saucepan with tall sides. Many fudge recipes need to be boiled for quite a few minutes to set well. If you choose a pan that it too small, you will ensure a “boil over” which makes a huge mess. Choose a pan that is at least three times the volume of your ingredients to avoid this. 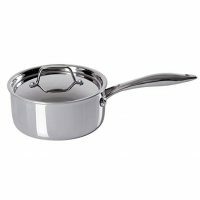 I like to use one that has a heavy bottom and is made of stainless steel, but other types work well too, as long as the size is right and the sides are tall. 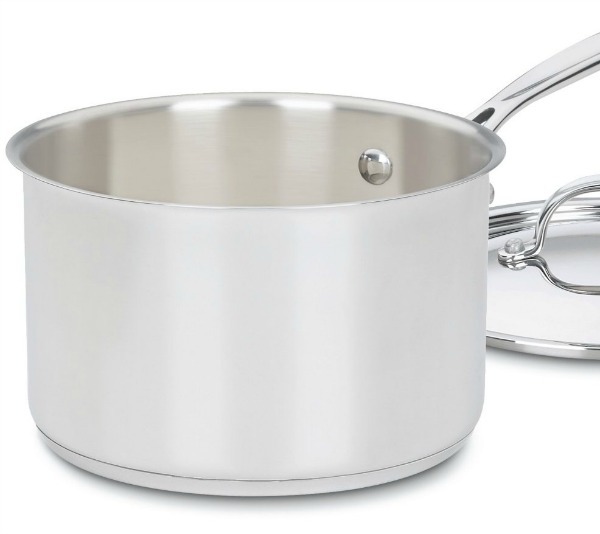 This Cuisinart saucepan is four quarts and has a glass top as well. 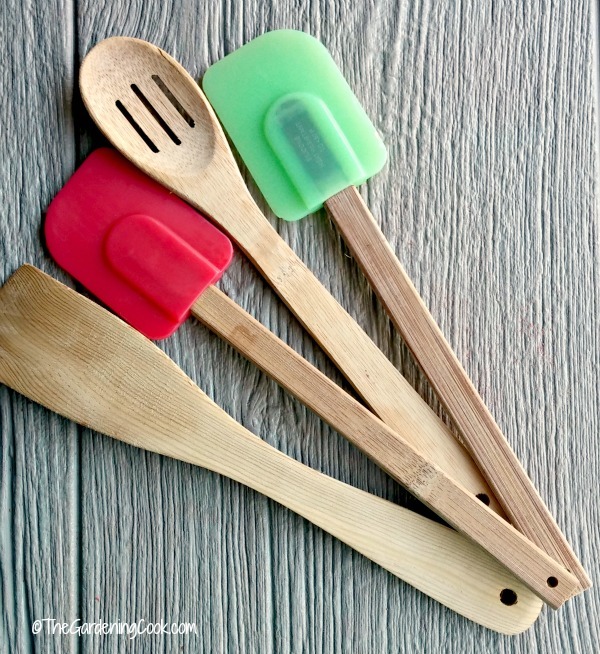 Wooden Spoons or Silicone Spatulas. 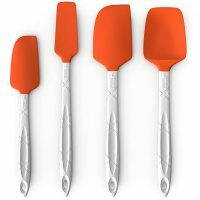 I used to use a wooden spoon all the time to make fudge, but with the advent of silicone kitchen tools that withstand very high heat, I find that I use these more and more to make my fudge. Whichever type you use, be sure that they are very sturdy. Some fudge recipes can get very thick in no time at all and a flimsy spatula just won’t do the trick. Making perfect fudge really boils down to one thing. Getting the fudge mixture to the right temperature. There are various ways to do this, but using a candy thermometer will make sure that you are not just guessing. If you under cook the mixture, you will end up with fudge that does not set, no matter how long you keep it in the fridge. If you don’t have a candy thermometer, you can use what my mother used to call the “soft ball” stage. She used to keep a clear glass of water near the pot and would drop bits of the mixture into it as she was cooking. When the mixture formed a small soft ball by rubbing it between her fingers, she knew she had cooked it enough. But even this method requires some guessing. When in doubt, use a candy thermometer! Not all candy thermometers are rated equally. Some imported glass models are down right dangerous! This digital model from CDN (available on Amazon) is rated the most highly at 9.6 out of 10 by Best Reviews Guide. Line your pan for easy release. Once your fudge has been made and has set, you will want to remove it easily. 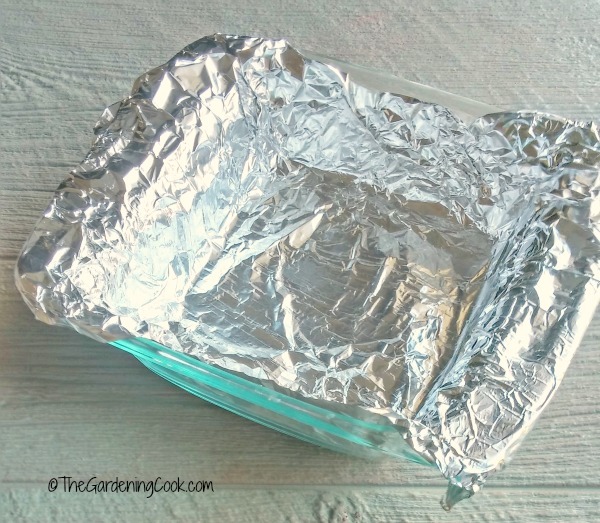 You can grease the pan, and this works okay, but one trick that I have found that works well is to line your pan with foil. I use a 9 x 9 glass pan with two wide sides. Then I extend the foil up the sides so that I have “handles” to remove it when the fudge has set. The foil is then sprayed with Pam or another cooking spray. Use the foil handles to pull the fudge out of the pan and then just peel it away from the fudge mixture. Easy, peasy! If you are new to cooking fudge, look for recipes that contain marshmallow cream, marshmallows or corn syrup. Using these in your ingredients will help to make sure the fudge does not crystallize into large particles and helps it to set well. 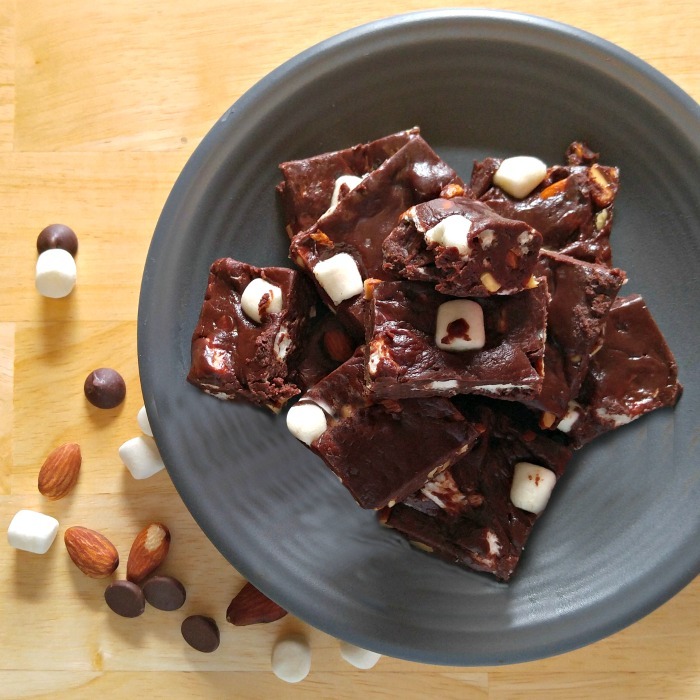 The soft marshmallows in this rocky road fudge, compliments the creamy nature of the chocolate for a great tasting fudge. Also be sure to use good quality pure vanilla extract (not the cheaper imitation flavor) and full cream butter. These make a huge difference in the taste of the finished fudge. Don’t substitute margarine for butter, since it contains more water and the fudge won’t set as well. Which is best for making perfect fudge – Milk or Cream? Regular milk has a tendency to curdle at high heat. Try to find recipes that call for evaporated milk or cream instead. Cream also gives a texture to your fudge that milk just won’t deliver. Gather your ingredients before you begin. This is a good rule of thumb for any recipe, but for fudge, which can sometimes set quickly, it is extra important. Doing this will also make sure that you have everything you need to actually make the fudge. Don’t scrape the cooking pan after the cooking is done. 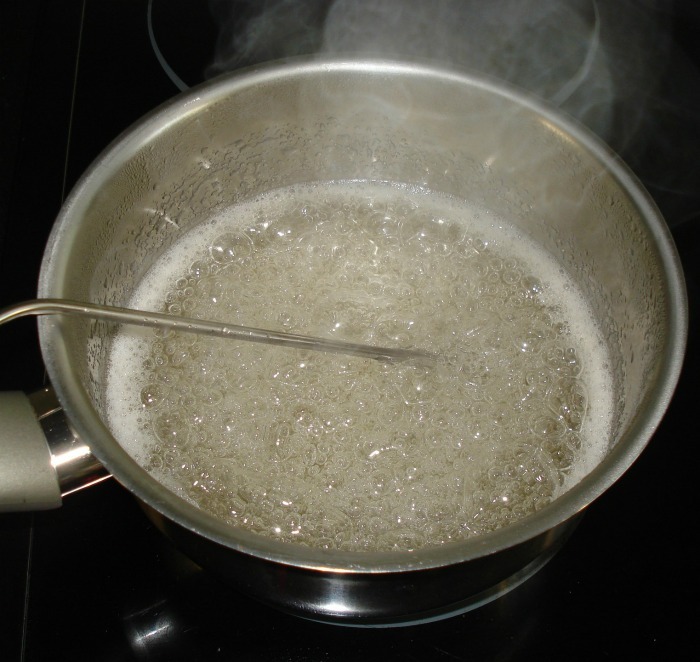 Sugar has a tendency to crystallize when cooked to a high temperature. If you scrape the edges of the cooking pan when you remove the fudge, it may allow these crystals to mix with the fudge ingredients and may make your fudge gritty as well. By all means, scrape the pan to “taste test” after you get the fudge in the pan! That is part of the fun of fudge making! Many cheap cooking thermometers are notoriously inaccurate. Be sure to test yours before you begin for best results. 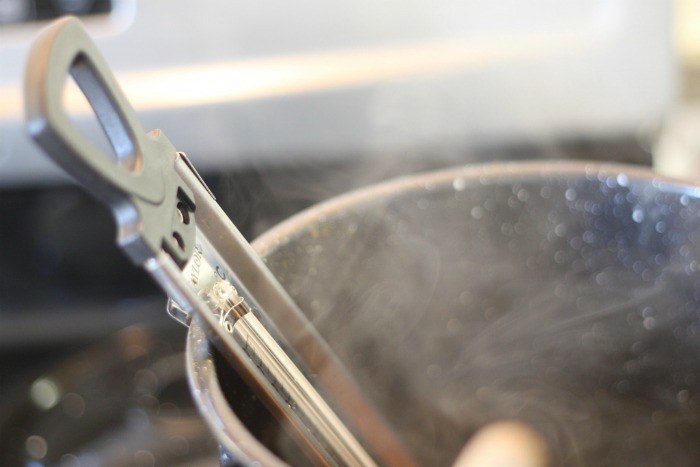 To test a thermometer, bring water to the boiling point and insert the thermometer into the water, being sure not to let it touch the bottom of the pan. Let the temperature rise. It should stop at 212º F.
Trying to make something like caramel style fudge requires a very good quality candy thermometer for best results. Cool then beat the fudge. Once you have made sure to cook the fudge to the desired temperature, remove it, allow it to cool to 110ºF and then beat it vigorously. Do this before adding other ingredients such as nuts and dried fruit. One trick my mother taught me is to place water in the sink and then set the pan of fudge into the water while you beat it. Beat it until the fudge begins to thicken and has lost its glossiness. Adding other ingredients is fine BUT remember this. It’s fine to experiment and add other ingredients to your fudge mixture, but be careful to pay attention to their water content. If it has too much, it will affect the consistency and the fudge may not set well. Some safe ingredients to add are: nuts, marshmallows, raisins, other dried fruit, peanut butter, M & Ms, chunks of your favorite candy bars. 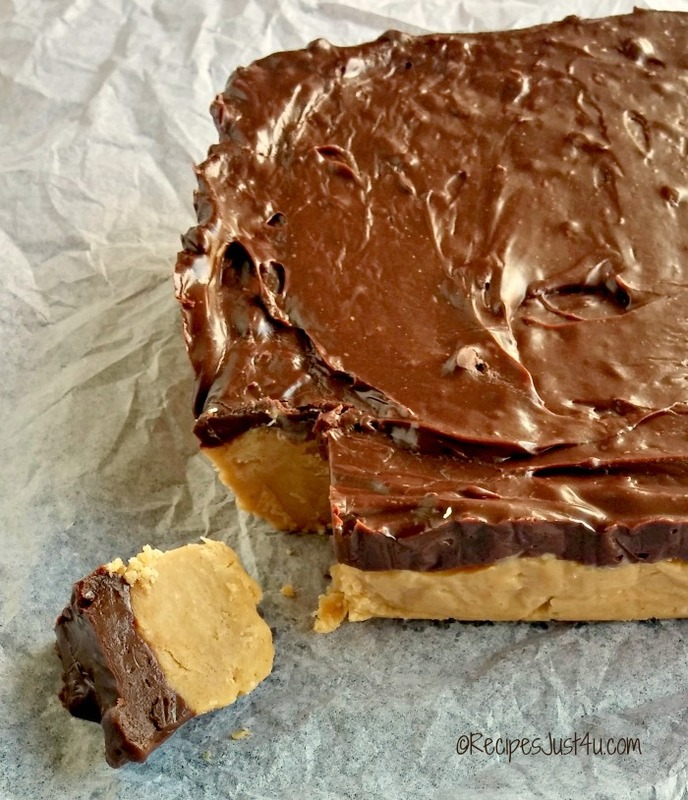 Be sure that the ingredients go well together like the peanut butter and chocolate in this buckeye fudge. Allow the fudge to set a while before you put in the fridge. Sure, we all want a piece of that home made fudge NOW…but cooling it too quickly can cause crystallization and a grainy fudge. Allow it to cool at room temperature for a while and then place it in the fridge to set completely. Use a sharp knife to cut fudge. Be sure the fudge has completely set before you try to cut it to give you those perfectly shaped edges. Clean the knife from time to time between cuts, as well. 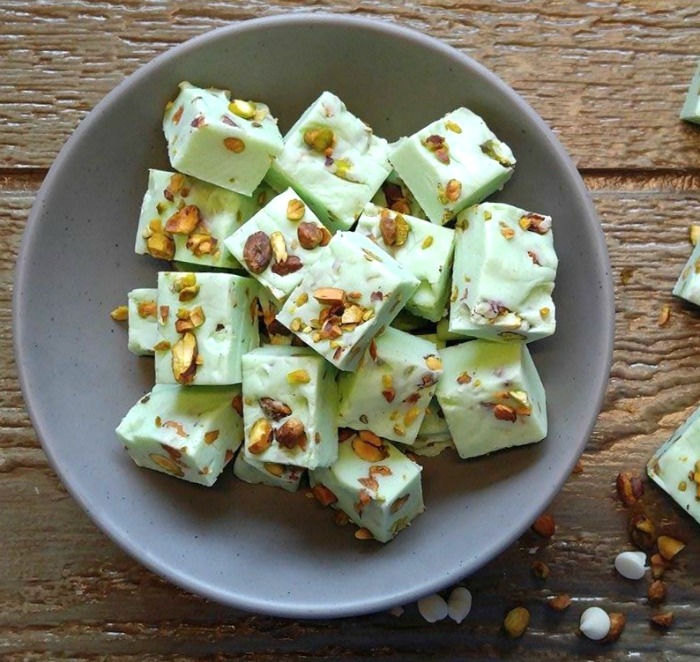 This pistachio nut fudge has a professional look to it, in great part by the perfectly straight edges. If you go to the trouble to make perfect fudge, you will want to store it properly. To keep homemade fudge at its best, cover it tightly with waxed paper, foil, or clear plastic wrap and then store in an airtight container in a cool, dry place. Fudge Consistency and why it happens. 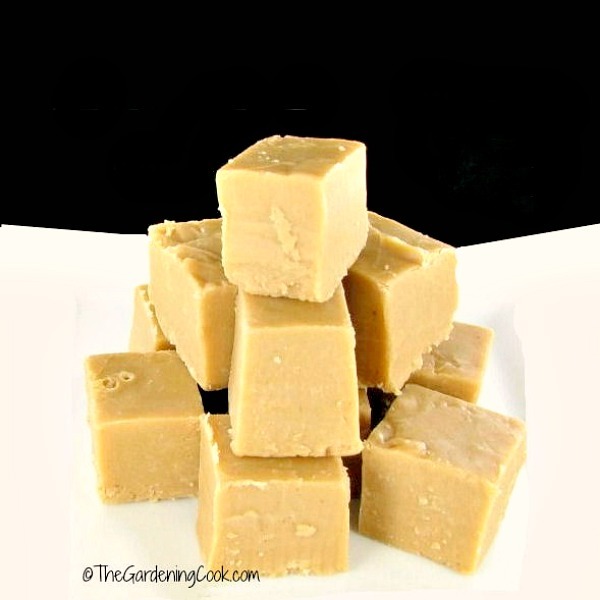 In spite of the right tools and techniques, fudge can be fussy. It can range from perfectly cooked to gritty or too sticky. Ideally, you want a firm consistency that hardens well, cuts well and is not too sticky. 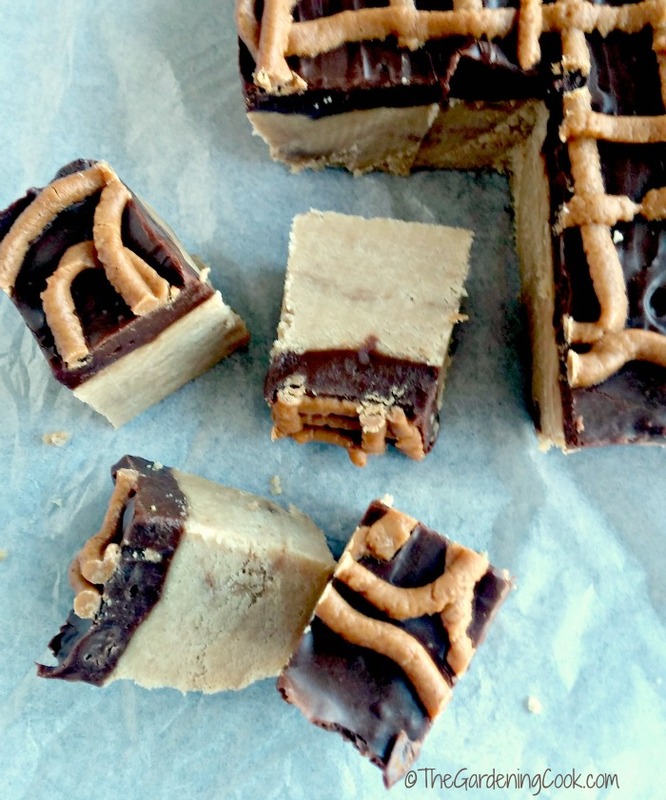 (like this peanut butter swirl fudge.) Here are some tips for getting those results and fixing problems. 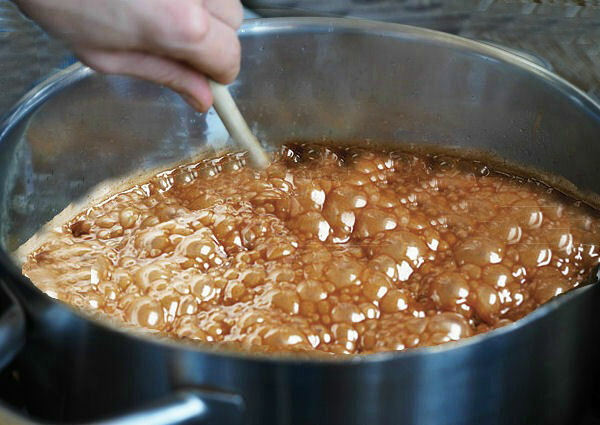 Most fudge needs to be cooked to a temperature between 237 and 239º F. This evaporates part of the liquid and makes sure that the fudge is neither too hard or too soft. This has been my most common problem with fudge. And it happens when I DON’T use a thermometer. Guessing just does not work, (for me at least) for fudge. If you only allow the fudge to cook to about 110º F or so, the sugar will not be concentrated enough. If you end up this way, you can make Truffles out of the mixture and roll them in coatings. If you want to save the fudge, return it to the pan, add about 2 tbsp of cream and bring it to a boil. Let it boil until the temperature reaches 237 and 239º F.
This means that the fudge will have reached too high a temperature. There will not be enough liquid left to form sugar crystals. The result will be more of a peanut brittle type of consistency…very hard and brittle. To save a fudge recipe where this happens, add about 4 tbsp of cream and bring the mixture to a boil. Then let it boil to the desired 237 and 239º F.
There are a few out there that don’t depend on a high cooking time for them to set. Some of the popular ones use confectioner’s sugar instead of brown sugar or granulated sugar. Some of them require no long cooking on the stove. See this foolproof Reese’s peanut butter cup fudge as an example of fool proof fudge. It’s made in the microwave and comes out perfectly every time.. It really is fool proof even if all your fudge recipes fail! Have I missed some of your tips for perfect fudge? Please leave them in the comments below. 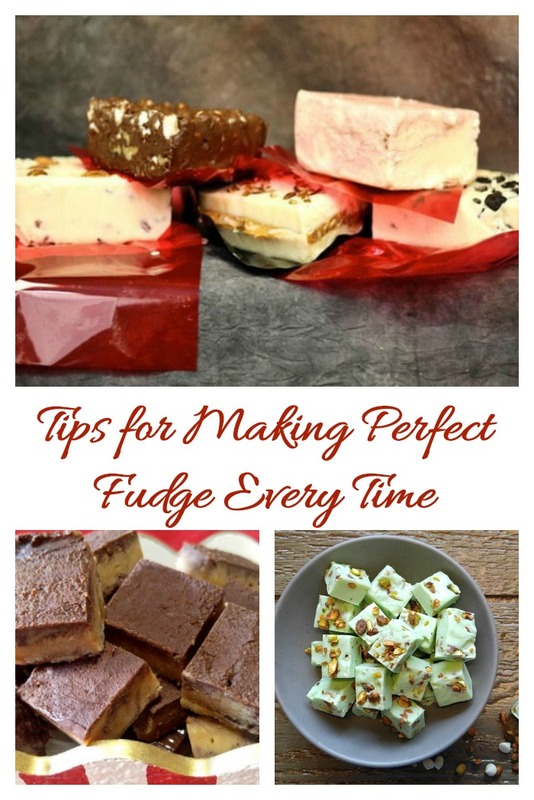 Would you like a reminder of these tips for making perfect fudge? Just pin this image to one of your dessert boards on Pinterest so that you can easily find it later. Now that you know how to make perfect fudge, it’s time to try some new recipes. But be careful. Once your family tastes these, you will be their go-to person for fudge making! Admin note: This post first appeared on the blog in December of 2015. I have updated the post with new recipes and tips, a printable card and video for you to enjoy. Making great fudge is not a matter of chance. There are several things you can do to ensure great results each time. Be careful with ingredients. Use freshest available. Cream is better than Milk. Butter is better than margarine. Don't scrape the sides of the pan while cooking. Use a very sharp knife for cutting.